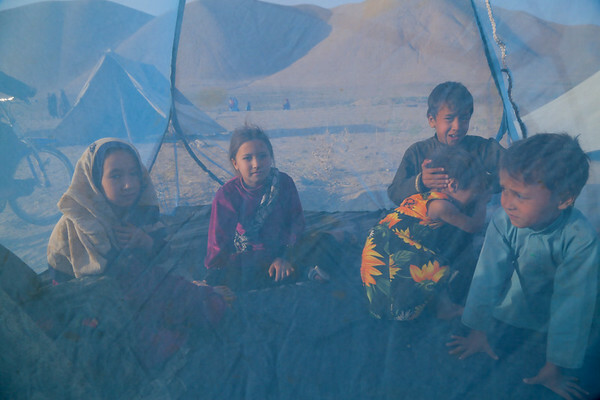 A displaced family live in a small camping tent in Kharistan IDP settlement. It is very dusty and hot during the day and tent can't protect the family. "We lost our makeshift tent under the sun and there was no more blanket left to make a shelter. My husband went to the city and couldn't find tarpaulin either so this was the only option to use," says the mother. The elders sleep outside and the children remain inside during the night.